German players celebrate after Germany’s 1-0 victory over Argentina in the World Cup final. In fact, it’s the highest a national soccer team has ever been rated in the Elo system. 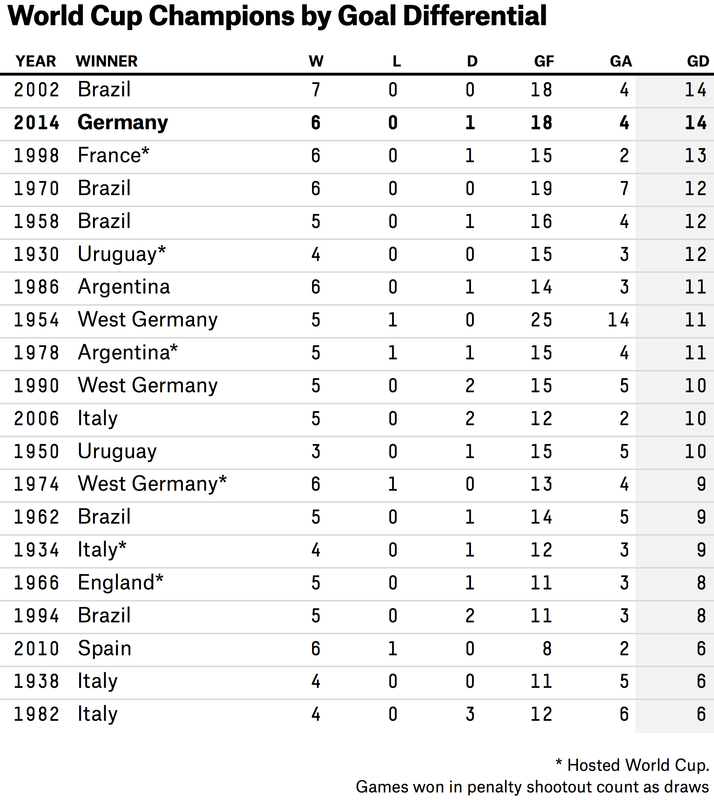 Before Germany, the highest-rated team of all time had been Hungary in 1954. Hungary’s rating peaked at 2166 after winning the World Cup semifinal, but then it lost to West Germany in the tournament’s final match. 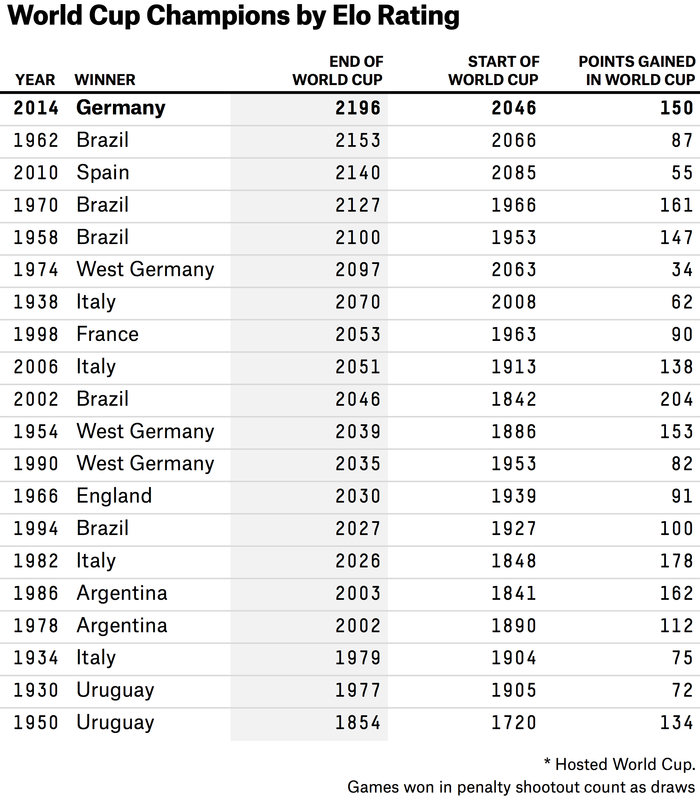 Other teams — notably Spain from 2008 to 2012, and Brazil under Pele — had longer sustained stretches at the apex of world football. But Germany is young and deep. Mario Götze, who scored the winning goal in the final Sunday, is 22. Thomas Müller and Toni Kroos are 24, and Mesut Özil is 25. The Germans have a good chance to go in as the favorites in the 2018 World Cup in Russia. Still, the competition is going to be tough. At the start of the next tournament, Brazil’s Neymar and Colombia’s James Rodríguez will be just 26, and Lionel Messi — despite playing in his fourth World Cup — only 30. France is perhaps a player away from competing with the world’s best teams, and after having won FIFA’s Under-20 World Cup last year, it could make that transition soon. This is a great era for the international game, and that makes what Germany accomplished all the more impressive.